Looking for the best cat flea treatment and have no idea how you should go about things? We know that the market is overflowing, but the factor you should focus on when doing your research is safety. We’ve compiled a list of the safest alternatives and have concluded that you should consider the Capstar Tablets 004CG-61011 as it is an efficient method of getting rid of fleas. The product is capable of eliminating external parasites in as little as four hours in the case of dogs and six hours for cats. If you’d prefer something else given that oral medication administration is a nuisance with some feline friends, Dr. Fox recommends the Bayer Seresto Collar 81857952 as it can provide as many as 8 months of protection. 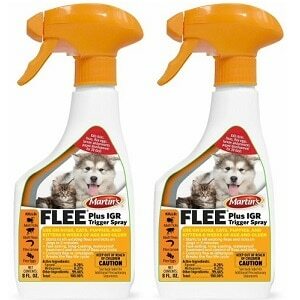 These flea tablets work very well on both cats and dogs. The pill can be hidden in your pet’s food, or you can put it directly in his/her mouth. 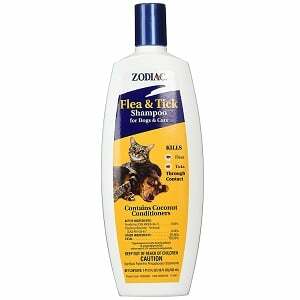 It will take up to 6 hours for the fleas on your cats to die, and 4 hours on dogs. And don’t worry if you notice that your pets get re-infested with fleas, it is totally safe to give them another dose. Some people mentioned that their cats acted a little weird after ingesting the pill. This is a fast and safe remedy for your pet’s fleas; you will see incredible results even after a single dose. If you have a busy schedule and you don’t have time for monthly treatments, you should consider buying this collar for your cat. It will make your life and that of your cat much easier. This collar will protect your cat against fleas and ticks for as long as 8 months. 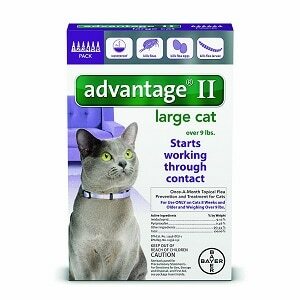 Also, it is a great option for cats who don’t like to take pills or monthly topicals. A few customers mentioned that they noticed minor skin irritation on their cat’s neck. It can be easily adjusted on your cat and it offers long-time protection against fleas and ticks. This shampoo can be used on dogs, puppies, cats, and kittens older than 12 weeks of age. It offers great protection against fleas and ticks, killing even the adult ones. It is all natural, so you don’t have to worry about chemicals affecting your pet’s health. It has a nice smell, which will last on your pet for up to 2 weeks. Some pet owners complained that the amazing results only lasted for a short period. A great natural option that smells very good and protects your pet against ticks and fleas. Given the vast array of flea treatment reviews you might come across, you might end up feeling baffled as to which one works best. As such, we have compiled a list of the critically acclaimed products that seem to have ensured the right results and that have, therefore, impressed cat owners both in the U.S. and the rest of the world. What is the best oral flea treatment for cats? 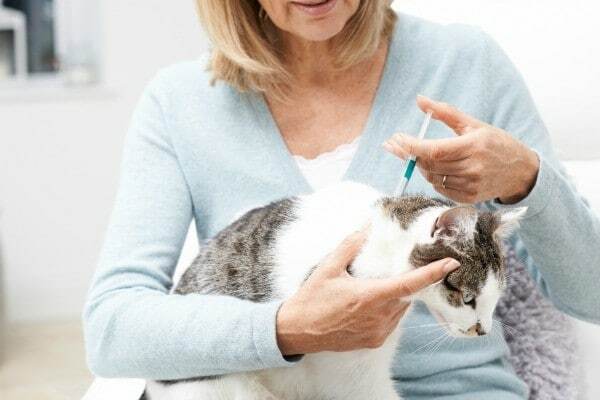 Some owners might find it difficult to tackle this matter as both adults and kitties are known to be more than skittish when it comes to taking pills. There are several alternatives you can utilize, mainly in the form of oral suspensions. They are just as effective as their tablet counterparts, but you might find them easier to use given that you don’t have to open your pet’s mouth too wide and make sure you avoid projecting the pill into the larynx instead of the pharynx. In many cases, pills that are made for getting rid of fleas can also ensure the disappearance of both internal and external parasites. Some of these medicines are so powerful that they can even guarantee the removal of ticks. What usually happens is that the main chemical substance gets into the pet’s bloodstream and ends up in his or her skin vessels. Subsequently, ticks fall off naturally as they ingest the substance while feasting on the poor cat’s blood. 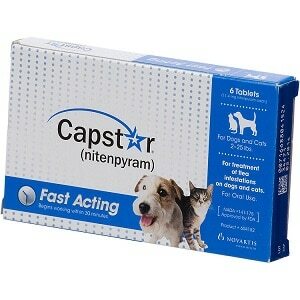 Since it works both for canine and feline friends, the Capstar should be one of the logical choices of people who own both dogs and cats. This particular formula works with breeds that weigh between 2 and 25 pounds. It’s the single formula that can be utilized on cats as those designed for larger breeds of dogs do not speak to the needs of small felines. The product is said to do wonders in terms of its efficiency and the time it takes to kill fleas. On dogs, it appears that it can do so in as little as four hours while on cats, it can do the same in just about six hours. Some of those who have taken the time to provide feedback regarding the Capstar say that while it is a good treatment against fleas, it does not offer long-term protection. As in most cases, you might have to consider a collar for this purpose. Not all flea collars are made the same, which is to say that some are preventive while others can also kill the fleas that your cat has been infested with. That is why we recommend taking some time to read the product description before ordering it online. When it comes to making sure that you’re getting the right alternative, you need to look at the age of your cat, which is to say that you ought to know whether he or she is younger than 1 or has become an adult. We suggest finding out as many details as you can about the age of your cat, especially if you recently adopted one as insecticides used on adults are extremely dangerous for youth. You could be jeopardizing the pet’s health or life by using the wrong product. Usually, the size of the collar is available on the manufacturer’s website, so all you’ll have to do is measure out the circumference of your cat’s neck. However, most brands make their collars long enough for you to customize the length and even cut some out if it’s too long. The neat thing about this choice is that you won’t have to bother with flea control for as many as eight months. The product is more than capable of killing the fleas that can already be found on your cat in as little as twenty-four hours after the pet has started wearing it. All reinfesting fleas are decimated in as little as two hours. Once two days have gone by since the initial application, your cat is also safe from the harm of ticks. This particular detail should definitely be something you ought to be interested in especially if you are not the owner of an indoor cat. Keep in mind that few flea collars also offer tick protection. Best of all, the Seresto doesn’t smell like anything, so there’s little to no chance of your cat rejecting it because of any weird scent. 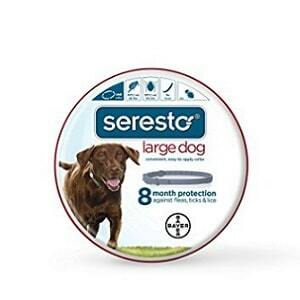 While it might not be the most budget-friendly option ever to have been invented, it’s positively worth a try because of its eight-month flea and tick protection period. Cats are unique, and their preferences differ largely from one individual to the next. If you’ve been a cat owner your whole life, you’re probably aware of the fact that some cats might have nothing against taking a bath once in a while, but many of them hate the idea with a passion. We can’t blame them seeing how it takes a long time for them to dry their fluffy coat after it’s gotten all wet. However, flea shampoo is a great option if what you’re trying to do is get rid of the fleas on a kitten, especially a very young one. After all, you’ll be using only a limited amount, and you’ll get rid of it by rinsing the coat and skin. Therefore, the insecticidal substance is removed from the cat hair and skin, which means that the kitten will not accidentally ingest it while cleaning itself up. Besides, there are many natural alternatives these days that you could bear in mind. Since it is safe to use both on dogs and cats, and puppies and kittens older than twelve weeks, it goes without saying that this unit is entirely worth considering. Something that needs to be added in its regard, though, is that it is not capable of killing flea eggs. Therefore, what you need to do is repeat the washing process in about seven to ten days following the first application. The shampoo smells nice, but its scent is not overpowering, which is why cats won’t be bothered by this aspect. Upon having gone through the many reviews gathered by this choice, we’ve come across several opinions according to which cats don’t particularly like being washed. Nonetheless, the product does a good job, and so it is the owner’s responsibility to try to manage the cat’s attitude toward baths. Other buyers say that they enjoy the nice scent. Tick and flea treatments can come in many forms. You could opt for powders if you’re looking for an effective product and want to remove it from the hair of the cat, at least partially. Shampoos rarely do a great job when it comes to killing and removing ticks, and so you may have to learn how to get rid of them by hand if you have no other product available. The ideal choices are flea drops, sprays, and pills. Aside from the latter which could raise some difficulties as not all cats enjoy taking pills, flea drops and sprays can be applied conveniently and easily. The only matter that we have to point out is that, unless you’re using a natural flea spray, you need to make sure that your pet doesn’t lick its fur and swallows the insecticide by accident. Unfortunately, all of these treatments require a good deal of care and attention. Although it doesn’t cost a fortune like some other shampoos we’ve come across, the Zodiac 100505846 makes a good choice. One of its main features consists of versatility as the formula is more than able to kill fleas, ticks, as well as lice. Not many products are capable of getting rid of as many types of parasites, but this shampoo actually seems to raise up to par. In addition to all of this, it’s worth noting that the product also contains conditioners based on coconut, which means that your doggy’s or kitty’s fur will shine and look as healthy as possible. 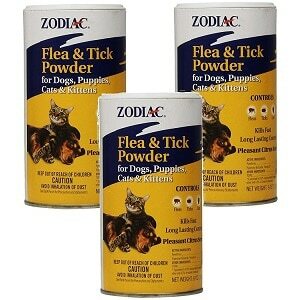 Described as one of their go-to products for getting rid of dog and cat fleas, the Zodiac alternative seems to have garnered mostly favorable user reports. Many buyers say that it even smells nice. Since some say that it’s quite powerful, we recommend using as little shampoo per bathing session as possible. Of all the alternatives you might have stumbled upon, flea drops are by far the most convenient choice. They are easy to apply, they should be used once a month or even more rarely, and the chances of your pet getting sick are close to null. Unless you do not apply the product correctly, there’s practically no way for your cat to come in contact with the insecticide. It goes without saying that this solution is reassuring for cat owners who not only can’t be bothered with seeing the manifestations of an insecticide poisoning but who would also appreciate using a super-safe product. While some large dog breeds are quite resistant when it comes to such products, cats are tiny and sensitive and have the bad habit of caring for their fur time and again. 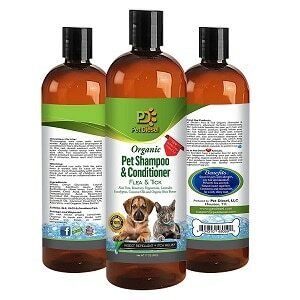 Many products in this line cannot protect your pet against lice and mosquitoes, so that’s a drawback to consider. Some do come with these features, though, but you should look for them specifically. Bayer is one of the world-known manufacturers in the pharmaceutical industry, and so it makes sense that the brand also make good flea products for cats and dogs. Unlike other choices, this one is uniquely designed to kill and protect against fleas, which is why it does little to nothing in terms of tick protection. However, it does target fleas when they’re adults, in their larval forms, and even kills eggs. 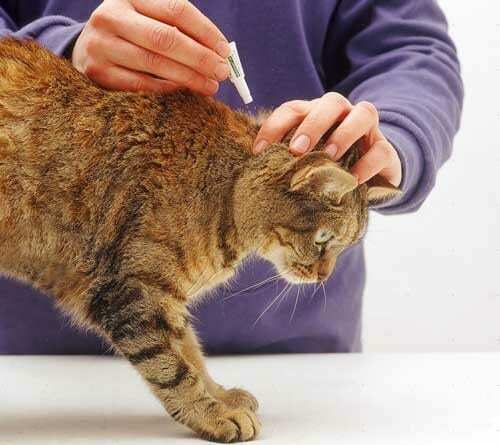 The best thing about many spot-on solutions and this one, as well, is that you have a better way of making sure that you’re dosing the insecticide specifically per your cat’s physical attributes. Therefore, this choice is available for cats weighing from 2 to 5 lb, for those weighing between 5 and 9 lb, as well as for bigger cats whose weight is over 9 lb. Furthermore, this spot-on choice is one of the few that can be applied on cats as young as eight weeks old. As we were saying earlier on, sometimes it is a daunting task to get the right product, especially because you have to look at heaps and heaps of details to ensure that the choice you’re considering is entirely safe. While flea spray might be less safe to use when compared to other choices, it might do the trick once in a while. For example, if the substance it contains is potent enough, you could simply use it at the base of your cat’s neck, without having to spray her or his entire body. Moreover, some choices are fast-drying, which is why the liquid form of the insecticide will not come in contact with your pet. In many cases, such alternatives can kill fleas, ticks, as well as lice. Their effect can last for up to one hundred days, so the spray bottle will clearly last you more than a year, especially if it’s big enough, to begin with. While many products of this kind aren’t safe to use with kittens and puppies, the same rule does not apply in the case of the Martin’s FLEE Plus IGR. This is an entirely efficient spray that can be utilized on youth older than eight weeks. Besides, the choice works on both dogs and cats, so it definitely speaks to the needs of pet owners who have both. What’s more, it’s worth noting that Martin’s alternative does what it is supposed to in as little as five minutes, which is to say that you will be able to see how the fleas are actively killed in a timely fashion. Since there have been reports from owners who say that their dog kept gagging for three days straight following the application, we suggest using as little spray as possible. As you might have realized by now, this is a side effect of most flea and tick sprays. The problem with indoor cats is that few to no owners actually understand how they could become infested with fleas if they don’t get out of the house. There are several means this can happen. For instance, if you also own outdoor cats or dogs, you could accidentally get your pants in contact with your pet’s fur. This is just one method of carrying flea eggs or larvae without realizing you’re doing so. Then, you go back inside and pet your cat, and as he or she usually does, he/she expresses gratitude and love by rubbing against your legs. There you go, now your cat has fleas. Flea treatments for indoor cats don’t have to be as aggressive as those intended for outdoor pets, and that’s because the chances of reinfestation are minimal. Therefore, there hardly is any point in using hard insecticides or products of which the action can last for up to eight months. You’d only be exposing your pet to the substance without any apparent reason. One of the reasons you should consider this choice for your indoor cat is that it comes in the form of powder. Besides, it can also be used on kittens, and so it is safe enough to keep your cat out of harm’s way in terms of health issues. There’s nothing stopping you from using more or less powder depending on how extensive the infestation is. Furthermore, we suggest using a comb or brush to get rid of the excess powder so that your cat doesn’t accidentally lick the insecticide that’s left on the top of the fur. Based on the feedback that we’ve come across, it seems that this option works on dogs and puppies just as well as it does on cats. Also, it is more than capable of killing fleas in a timely fashion, and it’s easy to use since all you have to do is shake the top to get rid of some powder. Bear in mind that flea powders do not guarantee long-term effects, so you may have to keep the product on hand for the months to come. Some of the products you are likely to come across will be made out of natural ingredients. If possible, you should always opt for a non-toxic natural alternative, as it is by far the best in terms of pet safety. However, the efficiency of these choices is debatable as not all insecticides that can be found in plants can offer the right results. Nonetheless, some substances are better than others, which is the case of eucalyptus, peppermint, rosemary, vinegar, and even lemon, combined with some of those that we have mentioned already. Even Lavender can be efficient in high concentrations. The obvious question you ought to ask yourself is why you’d pay some bucks on a natural product if you can make your own at home. The simplest answer is that you hardly have any chance of creating a strong flea killer at home as the sprays and shampoos that are available for sale contain highly concentrated essences that are better capable of raising up to par. While nine out of ten shampoos for dogs and cats are at the root of dry skin and itchiness, this natural alternative meets and even exceeds the expectations of pets and owners alike. On the one hand, it kills fleas, and on the other, it comes with an integrated conditioner that leaves the fur looking healthy and shiny. The ingredients of this shampoo are organic and range from eucalyptus to lavender and peppermint. Some of the soothing ingredients include coconut oil, aloe vera, as well as shea butter. All of these combined manage to remove the dirt from your cat’s fur and hair, but also do a good job when it comes to removing and destroying external parasites, including ticks. The product is budget-friendly and seems to be efficient, judging by the feedback it has received over time. 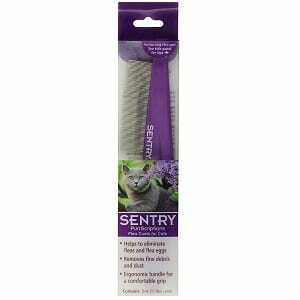 Moreover, some buyers say that it smells great and manages to make their pet’s fur soft and shiny. When it comes to less effective methods of removing fleas, you can always go for a comb. Needless to say, you need a whole lot of patience if you plan on removing eggs and adults from your cat’s fur because it takes time and a whole lot of effort. However, this means is non-toxic, so it poses no risk to the health of your fluffy friend. There are other uses for flea combs, which is to say that if you have zero patience when it comes to actively removing them and their eggs, you can at least utilize such a product to tell whether your cat is infested or not. Flea dirt is usually present at the root of the hairs, so its identification might be tricky unless you employ a flea comb. Don’t try to use one that’s destined for humans, though, because you’re likely to fail in your endeavor to eliminate your cat’s fleas and their eggs. The teeth of a flea comb are very close together compared to regular ones designed for people. Despite being one of the most reasonably priced alternatives we were able to track down, this Sentry choice is by far one of the highly practical units on the market today. The teeth are closely set so that they don’t allow too many fleas and eggs to escape. Besides, this model can be utilized both for removing such external parasites and for getting rid of dust and debris. The fact that it has been outfitted with an ergonomic handle increases its usability, as you will be able to hold it properly while tending to your task. From what we have gathered by going through the reviews acquired by this choice, it seems that it is easy to clean, as it was made from plastic and metal. Simply rinse it with warm water and some soap, and you’re all set to use it again the next day. Most cats have nothing against the process, so they will allow you to comb them comfortably. Whether you’re in the market for the best oral flea treatment for cats or for one that you can apply on his or her skin, you’re probably feeling a bit confused as to which product you should select. There are so many options to consider and even many more available for sale that you could end up feeling baffled. Check out the simple guide we’ve put together for you in the hope that it helps you tell what type of flea killer you should go for. It goes without saying that you’re in the market for a flea treatment specifically because you want to get rid of those bloodsucking buggers that have been bothering your precious pet and maybe even you and your family, if your home has become infested, as well. However, some of the goals that such a product needs to achieve also consist of killing both adults, but also eggs and larvae. With some options, you will have to reapply the product after some time in order to make sure that no flea generations will survive. In addition to this, the medication you will choose has to work quickly and effectively, which is to say that it should kill all of the fleas in a timely fashion. Some pills can do just this in a matter of four to six hours while several collars can raise up to par in up to eight hours; therefore, it’s easy to see that this time span differs from one product to the next. When it comes to how you will be able to use the treatment, you shouldn’t have to go through a lot of trouble when applying it. Many cats are skittish to water and find it hard to keep still for a long time; so, if you can’t be bothered with keeping your pet in the same position for up to half an hour, definitely do not go for shampoo. Sprays are easy to utilize, in most cases, but there are certain health risks you should consider. If your cat loves to clean him or herself often, as most felines do, you will have to supervise the pet for a period of several minutes to several hours up until the insecticide has evaporated. Flea combs can be a pain if they’re not effective, and they do require a good deal of patience and time. Besides, you need to comb your pet time and again to make sure that you’ve gotten rid of all of the fleas. Moreover, you have to do this every day. From all of the alternatives available out there, it seems that the easiest to use is the spot-on solution. Most flea drops are efficient and do the job very quickly, and the neatest thing about them is that they have to be applied at the base of your cat’s neck, right at the back. That is an area that’s tricky when it comes to cleaning as most cats can’t reach around their necks with their paws. This is the detail that makes flea drops particularly safe, especially when compared to other types of products. It stands to reason that no pet owner wants their furry or fluffy friend to suffer from any side effects of any kind. One should take this risk if there are no other means of applying a flea killer, but everything has to be done judiciously so that the cat’s health is not affected too much. As we were saying, spot-on solutions are great when it comes to safety. They make it impossible for the cat to lick and swallow the insecticide. Shampoos aren’t too bad, either, given that you will rinse them out of the fur and hair if you’re meticulous enough. If you’re getting the same product for your cat and your dog, you need to make sure that it is safe to utilize on the first. Permethrin poisoning is common in cats, but dogs aren’t as sensitive. Make sure you read the label or do as much research as possible to find you whether the choice truly addresses both species. You have to make sure that you are getting the right product for your pet. It would be amazing if there were a universal choice for all cats, but things really aren’t that simple. You have two core aspects you should take into account, and they are the weight of your pet and his or her age. Not all products are made for kittens, and you should know this right off the bat. If you aren’t convinced that the option you are considering works for kittens, just don’t bother. Don’t buy it. You don’t want to harm your kitten. Because they weigh little to nothing and their immune system isn’t well-developed just yet, kittens are far more sensitive than adults. Natural alternatives are best when it comes to getting rid of their fleas, as are flea drops that are specifically designed for their age and weight. Things are a bit easier with adult cats because all you have to do is weigh him or her to know what product addresses their needs. Of course, this issue has to be addressed in the case of spot-on solutions and sometimes, sprays, where you need to spray for a variable number per pound of weight, for example. If you have a bit of time on your hands, you can always use a flea comb as it has zero side effects. Natural shampoos and sprays should also be given some thought to, as they’re usually made with harmless ingredients such as eucalyptus, lavender, and rosemary. Of course, their efficiency will always be a matter of debate, but with these choices, at least there’s nothing stopping you from using them over and over again if the fleas re-infest your cat after some time. Can cat flea shampoo be used on dogs? The short answer is yes. In many cases, cats are far more sensitive to insecticides regularly used on their canine counterparts, and since the reverse does not apply, you’re safe to use cat shampoo on your dog. Keep in mind that the efficiency of the product depends on its composition and the weight of your dog. Don’t expect the same flea drops, pill dosage, or shampoo concentration to work on both your St. Bernard dog and your British Shorthair cat. If you stick to some simple rules, however, you can undoubtedly use cat flea shampoo on your Fido. Cat and dog fleas aren’t the same, which is to say that while they are part of the same family, they differ in some respects. In terms of feeding, they do have preferred hosts, such as canines or felines. However, if the infestation is extremely severe, some fleas could feed on humans. As for breeding and living, there’s a difference between dog and cat fleas. While dog fleas prefer their primary hosts and will likely die in their absence, cat fleas can infest homes and live off the blood of humans for as much time as possible. Consider cleaning and killing the fleas in your house when you do apply a flea treatment on your pet. Are cat flea collars effective? It depends on the ingredients, and sometimes, even on the brand. Quality flea collars are excellent and can get rid of the pesky invaders in as little as several hours while also ensuring protection against them for as many as several months. With some collars, however, you’ll first have to treat your pet and only then apply them in order to make sure that their effect lasts for a couple of months. As you know, cats don’t love perfume or any other overbearing scent, for that matter. If possible, opt for a product that isn’t too smelly or doesn’t smell at all. How often should cat flea treatment be applied? It depends on what you have used before. The effect of some spot-on solutions can last for about one to two months, but that of others is more limited as they can protect your pet for two to three weeks. Shampoos and some powders are instantaneous but do little to nothing when it comes to long-term protection. Our advice to you is first to treat your pet, especially if the infestation is severe, and then get a collar. Some collars can keep fleas and ticks at bay for as many as eight months, so you’ll only have to invest in a flea product twice a year. One of the biggest responsibilities that owning a cat comes with is introducing cat flea control in the home. Many the cases, when a pet has been infested with fleas, it gives away signs that you, as an owner, should know how to read. For instance, if your cat scratches itself all the time, or if it chews its skin and looks like a small bundle of nerves all the time, chances are that it has fleas. However, if this is the case, there are no reasons why you should panic, as this is something natural that is bound to happen from time to time. Moreover, flies are a type of parasite that, except the severe cases, can be tacked by any owner by using a series of treatments. Today we are going to talk to you about cat flea home remedy that you could use to avoid having an upset kitten. Because prevention is always better than treatment, we suggest you take them into account and start implementing them right away. When it comes to protecting your pet and home for fleas, if you don’t want to invest a lot of money in a new cat flea treatment, one thing you could regularly do is to do a flea check. Namely, you should look for small black bugs that might be jumping in her coat. You could do so when combing the cat with a metal, specialized comb that is capable of actually extracting the adult fleas and providing relief for the pet. In order to actually kill the parasites, you should priory dip the comb in a substance made from water and dish detergent. Still, we recommend that you don’t use a lot of detergent while doing so. Because cats like to lick their coats, you should avoid loading their fur with a high dosage of chemical substances that the detergent might contain. 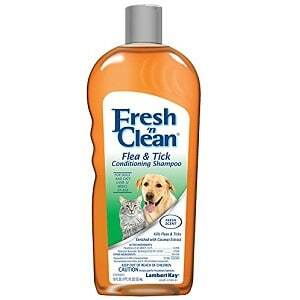 Additionally, you could use a cat flea spray for the home to keep away any new unwanted visitors. Yet, if you are not against specialized treatments, you should be aware of the fact that the market is filled with a series of products that can keep fleas away. For example, there are spot-on treatments available that can be easily and conveniently administered. Likewise, the market is packed with many types of powders, shampoos, and pills that you can use with your cat. 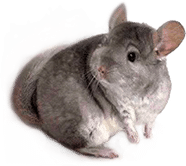 Anyhow, no matter the type of treatment you end up opting for, we recommend that before you actually use the treatment, you take the time to read the information provided by the manufacturer so that no harm is caused to the pet. Even more so, we strongly suggest that, where possible, you avoid starting any type of treatment before you talk to the vet. This way, he or she will be able to correctly assess the situation and recommend that you follow a certain treatment. This aspect is particularly crucial if you own a cat that had previously suffered from a skin condition.